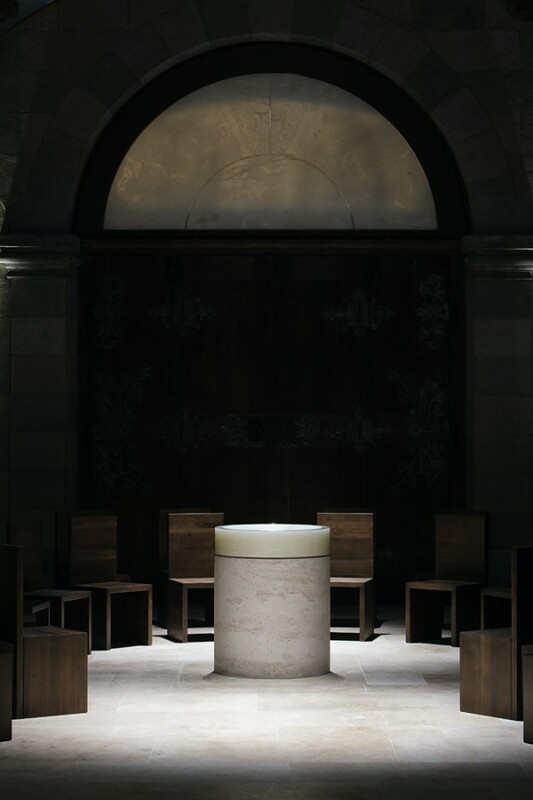 Thanks to various design interventions undertaken by John Pawson, the historical monument is again perfectly adapted to its daily function as a restful place of prayer and reflection. 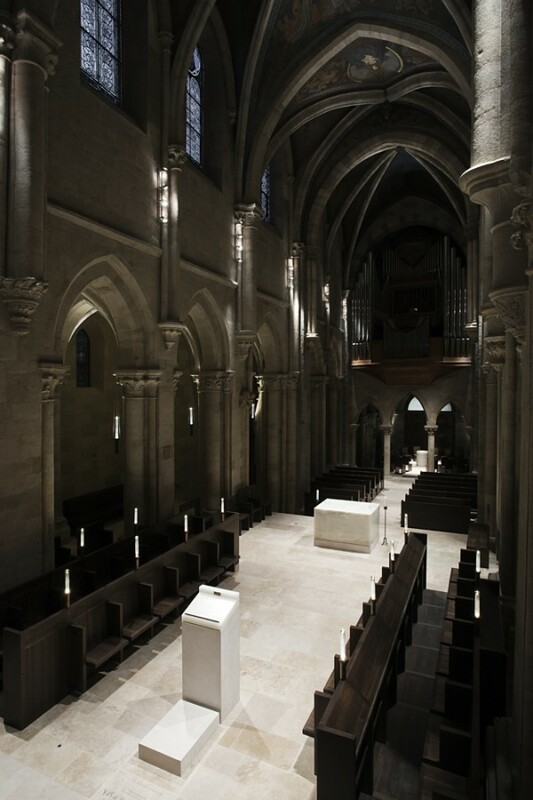 For more than a thousand years, Benedictine monks have been living and working in the abbey of Pannonhalma. The small town of Pannonhalma lies some 20 kilometres to the South of Győr, in the north-western part of Hungary. The abbey, with its neoclassical buildings and the white clock tower of the Saint Martin Basilica, is perched on a hill,282 metersabove sea level. To celebrate the millenary of its foundation in 1996, the year when the Millenary Benedictine Abbey and its natural environment became a UNESCO World Heritage site, a range of renovation works were undertaken in the complex. 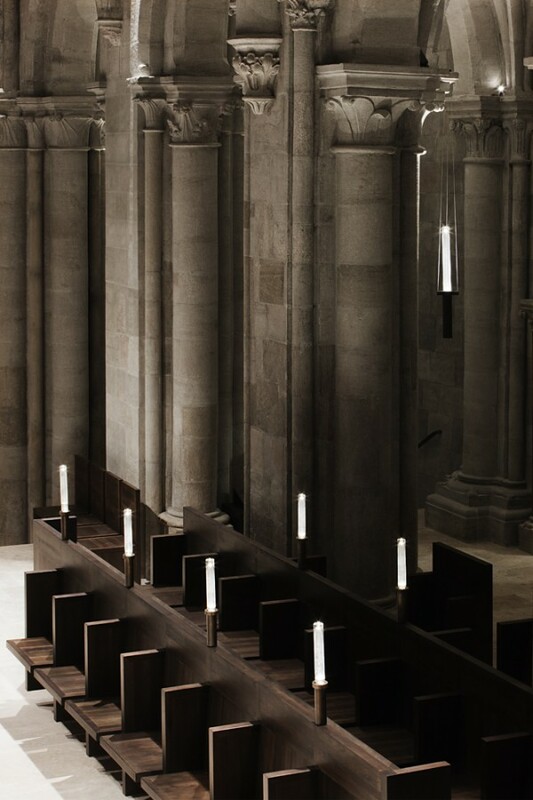 However, the renovation of the Saint Martin Basilica itself was at the time considered to be too delicate and complicated, and was therefore postponed. Computer Render: Hayes Davidson Ltd. Mechanical Engineer: Égti 2003 Kft. Lighting Consultant: Be light Kft. Insulation of external walls: ISO-MÉDIA Kft. Stone and Metal Sculptures: György Asztalos – Renome-R Bt. Wood Sculptures: Péter Zágoni, Zsolt Kóbor – Art-árium Bt.